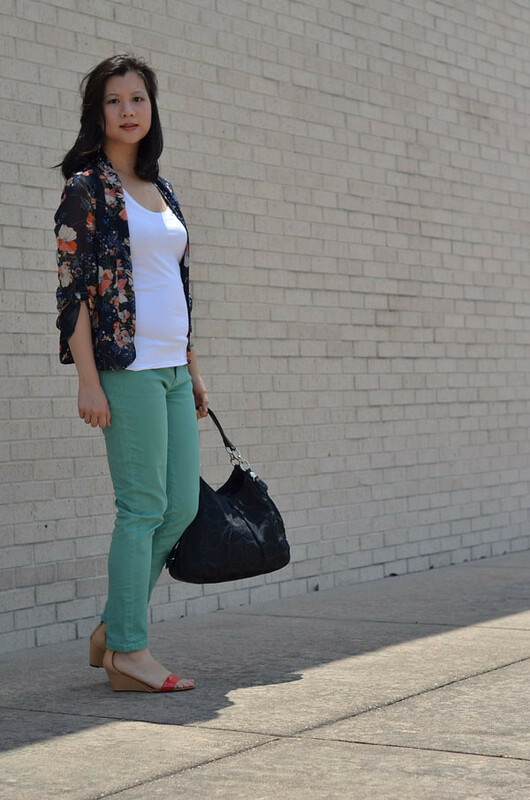 My blog is mostly about my fashion sense for a working mom. But before it was a fashion blog, I talked about my struggles with my post baby weight and the diets on the market. I am not the perfect media representation of women. I am who I am. Weight will always be an issue for the majority of women. I think if we are all aware of our bodies, meaning what clothing makes our bodies look best, we would look and feel like a million bucks. I am going to divulge a little secret. I gained weight. Five pounds. Ok, I lied. Six pounds. Mostly these pictures are a wake up call for me – to stop eating cupcakes and start working out again. I also need to stop wearing tank tops like this. I’m going to make an effort to dress my body in better styles and materials. We all need to be mindful that clothing should not be the enemy. Your clothes need to be your friend. you look lovely! you shouldn’t be so bad about yourself! Iliyana recently posted..Pink Pink Pink ! Hot Pink Everybdy! Thank you so much for your wonderful support! Blogging has been great! There is a lot of support through the blogging community. I really appreciate everyone who looks out for me. Don’t be so hard on yourself! You look great! I still think it is great you want to work out and be healthier! You’re very sweet! Thank you. Helen this happens to all of us. I noticed the same issue once I hit 30 last year…the same 4 lbs shows up, I’ll be good for a while, walk, eat healthy….and then I slip those same damn 4 lbs come back. I honestly couldn’t tell, and with 2 small kids I am sure you’ll lose those 5+1 lbs soon. Yes, those damn sneaky pounds. Makes my life a bit miserable. Just need to watch what I eat. Damn Whole Foods cupcakes. They make you think it’s healthier but it’s the same decadence. While maintaining a healthy lifestyle is always important (and a constant battle for myself! ), I think you need to remind yourself your a beautiful women regardless of what the number on the scale says! There is nothing wrong with your weight. I’m struggling to see any fat on you whatsoever. We are women and our bodies change and fill out as we get older and have kids. I think it’s very inspiring to see that you have the confidence to blog about your experiences as a mother. I hope you stop being so hard on yourself. You are gorgeous. if you get a sec, i have a new outfit post up, would love if you could take a look.